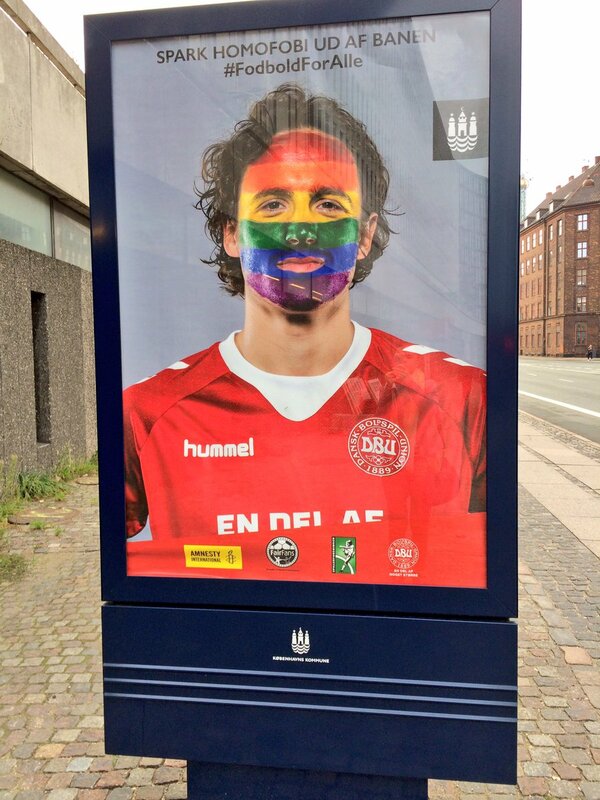 Copenhagen is showcasing posters fighting homophobia in football. 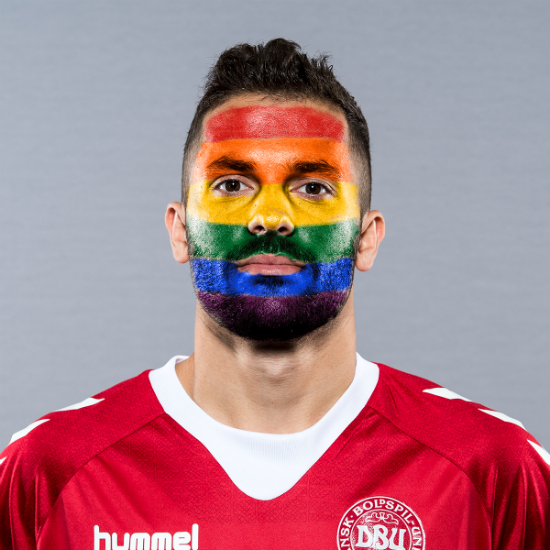 The #FodboldForAlle campaign is a cooperation between Copenhagen City Council, Danish Football Association, Amnesty International, Fair Fans (Danish Fan Clubs) and The Danish Football players Association. The posters encourage people to ‘get homophobia off the field’. 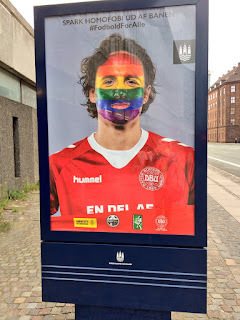 Pictures used in the campaign were originally made ahead of the international friendly game between Denmark and Germany. This took place on 6 June. 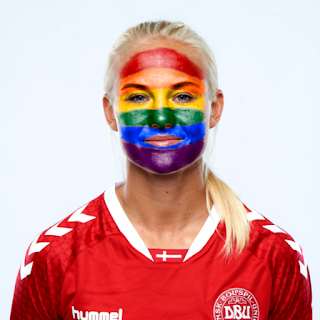 This year, the corner flags on the pitch and the captains’ patch were in rainbow colors. The campaign then run again when the Danish women’s team played an international friendly against England on 1 July. #FodboldForAlle is Danish for “football for everybody”. The campaign looks to eliminate discrimination against LGBTI people in football. Multiple male and female national team players feature. ILoveGay Denmark 🇩🇰 liked and retweeted this post, thanks so much guys! Sat-Satch liked this post, thanks !! !